Living with a nervous, anxious cat can be a challenge. Not only does your cat’s anxiety cause physical symptoms — including stomach upset, skin infections from excessive grooming/scratching, and appetite loss – but it can lead your beloved pet to act out aggressively to other animals, your guests, and even you. Finding an effective and safe treatment for your cat’s stress is crucial for your cat’s health and your own peace of mind. CBD cat oil is one of the most affective mood stabilizing solutions for cats coping with anxiety and/or stress. Here’s how CBD cat oil can reduce your cat’s stress levels and help her to become a happier and healthier kitty. Cannabidiol (CBD) oil can help your cat adapt to new surroundings. CBD oil offers clinically effective stress support. If your cat is stressed or nervous due to living in a new environment or having to cope with a new pet, CBD cat oil can help make the transition easier. When cats aren’t comfortable around new people or pets, or aren’t used to living in a particular environment, they can become destructive, and may attack humans and animals. If your cat is spraying her surroundings, refusing to use her litter box, not eating, and lashing out unprovoked, you may want to consider CBD oil. CBD oil has been shown to change the way the brain responds to common stressors, helping regulate the production of stress hormone and facilitating feelings of calm. CBD helps alleviate stress due to travelling. If your cat becomes anxious when travelling, CBD cat oil can help keep her calm during car rides or air travel. CBD will often help the cat rest in the car, rather than panicking, panting, and experiencing excessive drool. If your cat is nauseated in the car, CBD will help curb their nausea as well. CBD helps reduce and even alleviate chronic pain. Older cats are often plagued with medical difficulties that require aggressive medications to manage. 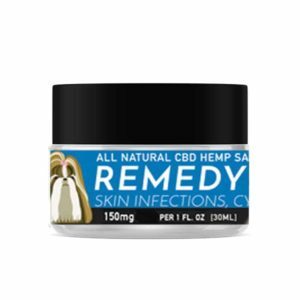 Hemp CBD oil for cats is a far safer option than chemical pharmaceuticals that frequently cause dangerous side-effects. If your cat is stressed or on edge due to veterinarian-diagnosed chronic pain, consider integrating CBD cat oil into her pain management strategy. CBD oil interacts with certain receptors in the brain, triggering an anti-inflammatory and pain-reducing response. 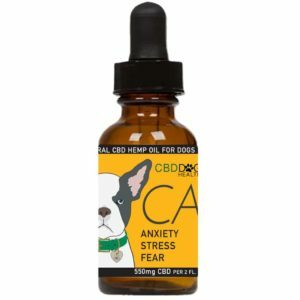 CBD Dog Health: Providing high-quality CBD oil for your precious pets. PreviousPrevious post:Retailer Spotlight: Earthwise Pet Supply Nashville/SoBroNextNext post:In the Press: Celebrity Groomer Endorses CBD Dog Health!